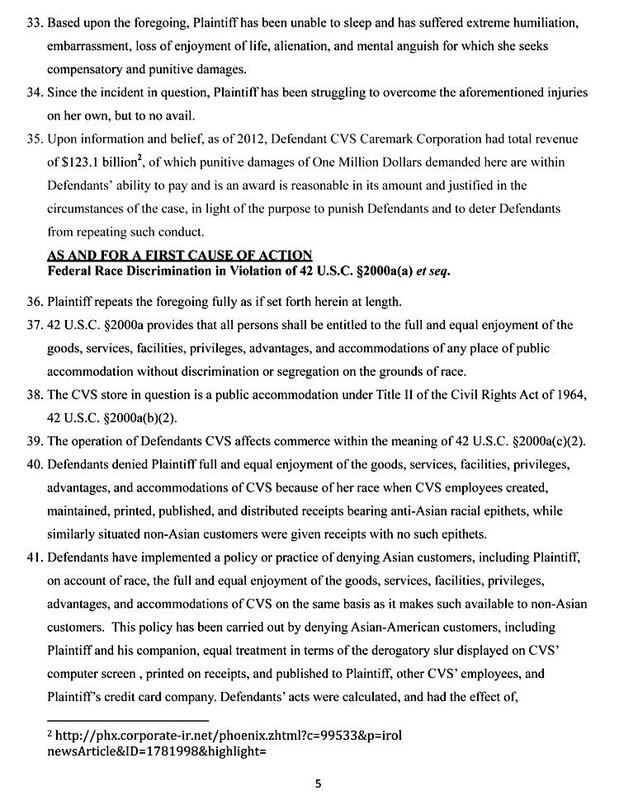 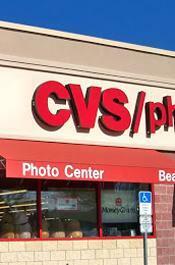 SEPTEMBER 5--An “ethnic Korean” woman who sued CVS after an employee changed her name to “Ching Chong Lee” on a store receipt has settled a $1 million racial discrimination lawsuit filed against the pharmacy chain, court records show. 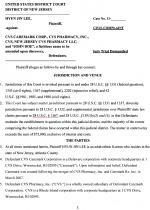 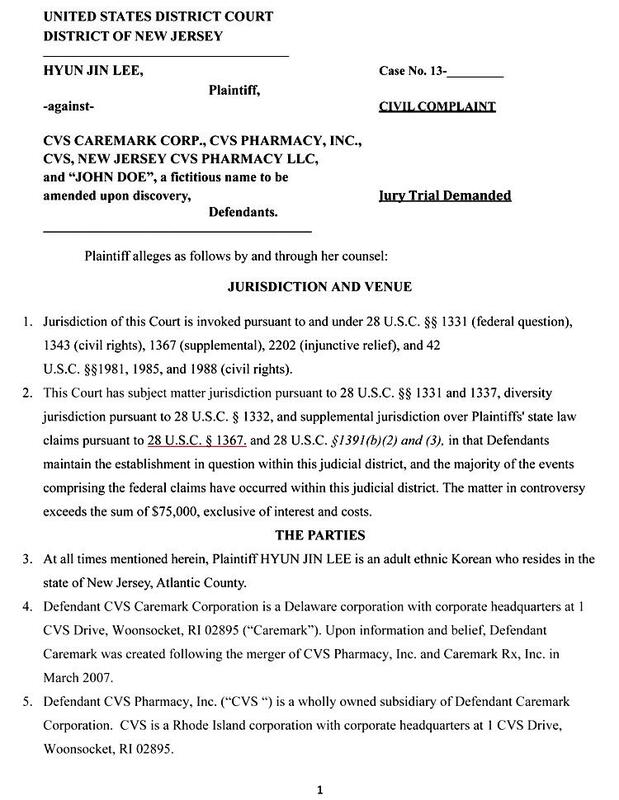 In an August 16 U.S. District Court filing, lawyers for Hyun Jin Lee revealed that a settlement agreement had been struck with CVS and, as a result, the New Jersey resident was voluntarily dismissing her federal complaint. 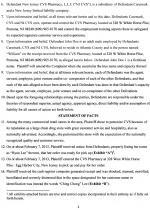 The dismissal notice offers no details of the settlement agreement, though it likely included a hefty payout to the 37-year-old plaintiff. 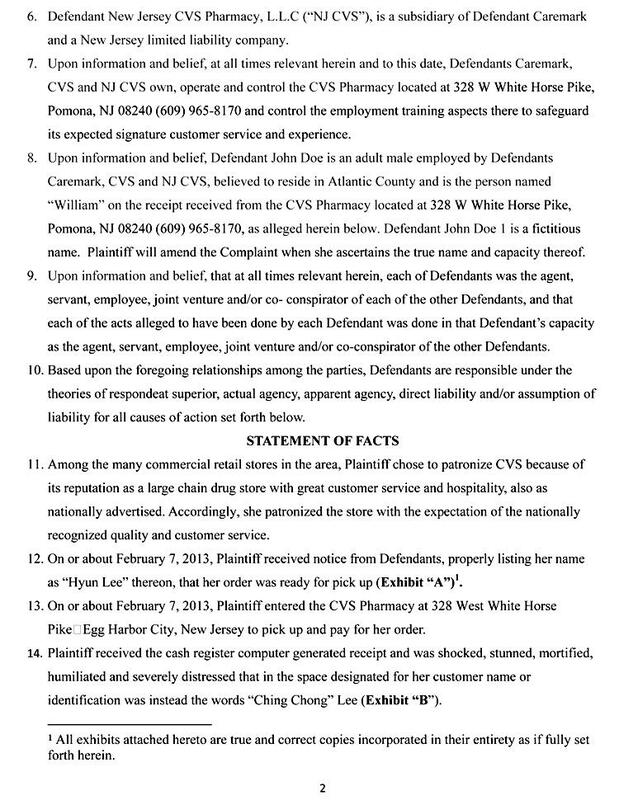 The deal was reached about two months after Lee (seen at right) filed her complaint in mid-April. 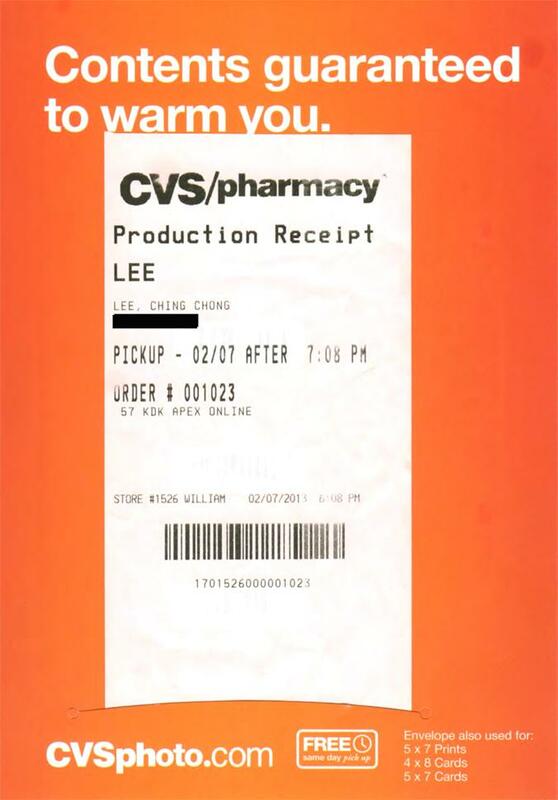 A lawyer for Lee did not respond today to phone and e-mail messages seeking comment about the settlement. 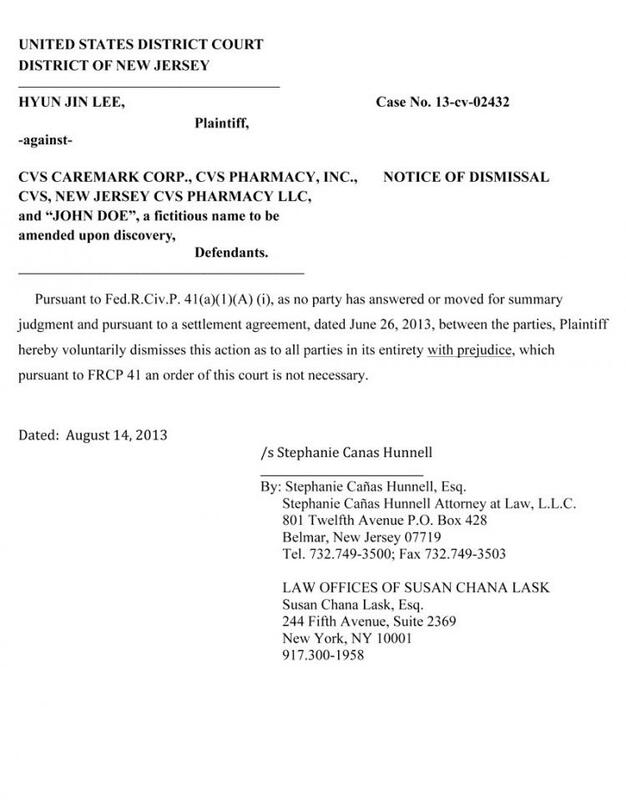 In her lawsuit, Lee--who describes herself as an “adult ethnic Korean”--recalled that when she picked up photos from a CVS pharmacy in February, she was “shocked, stunned, mortified, humiliated, and severely distressed” to discover that her name had been changed to “Ching Chong Lee” on a receipt attached to an envelope. 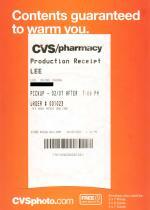 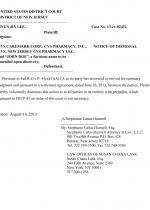 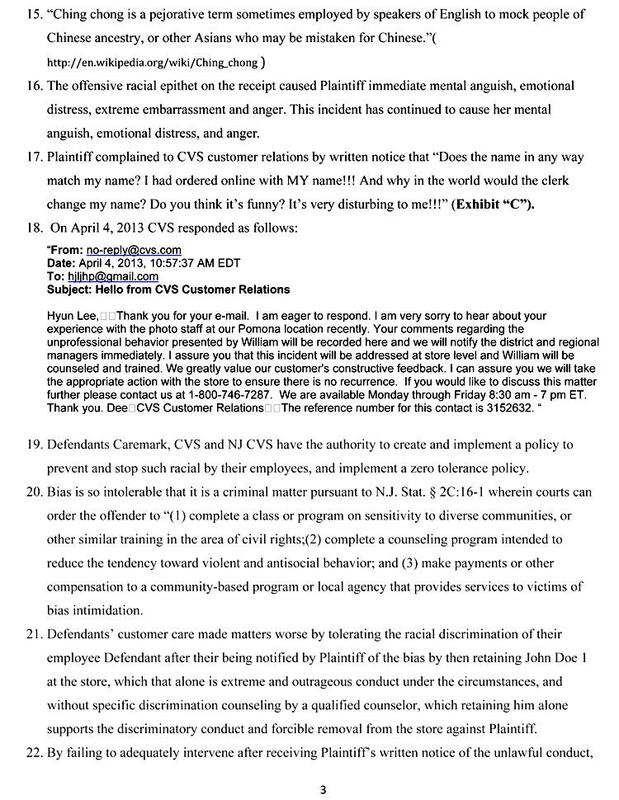 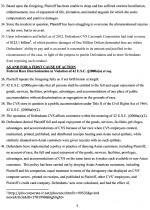 A copy of the CVS receipt containing the racial epithet was included in Lee’s lawsuit. 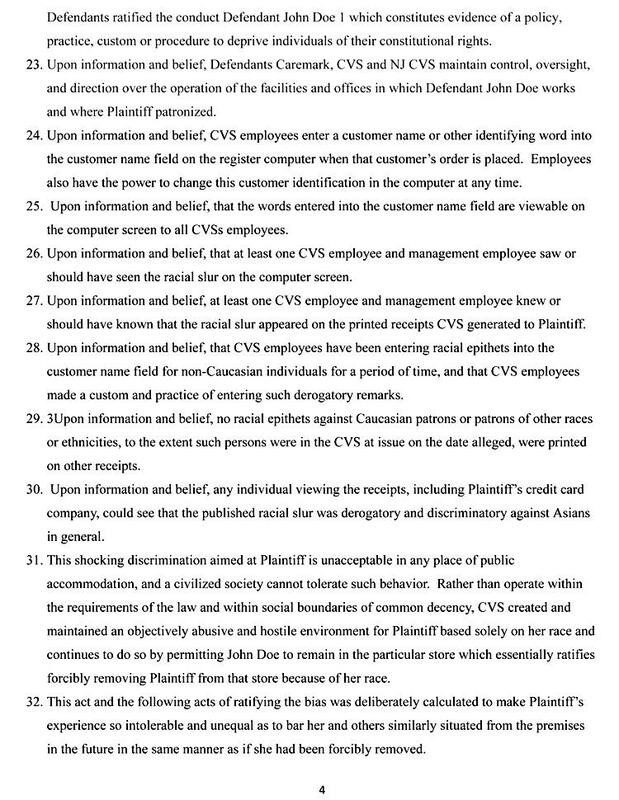 “Ching chong is a pejorative term sometimes used by speakers of English to mock people of Chinese ancestry, or other Asians who may be mistaken for Chinese,” the complaint contended.